Can Yoga Lessen The Burden of Depression & Anxiety? Depression and anxiety are pressing issues across our society, but evidence is growing that yoga can be part of our response. Anyone who has experienced depression or anxiety, or witnessed the effects on a friend or loved one, knows just how profound the impact can be. Colliding with our professional lives, personal lives and even our ability to function in the most basic everyday tasks, depression and anxiety stop us from living how we would wish, and the wider affect on society is significant. As research mounts to suggest that yoga can ease symptoms and aid in recovery of depression and anxiety, people are increasingly discussing its potential as a treatment for these common mental health issues. According to the Anxiety and Depression Association of America, anxiety disorders are the most common mental illness in the U.S., affecting 40 million adults in the United States age 18 and older (which is 18.1% of the population) every year. Major depressive disorder is also widespread – in fact, it’s the leading cause of disability in the U.S. for people between 15 and 44 years old. Serious mental illness costs the USA $193.2 billion in lost earnings per year, while personal emotional cost to individuals is untold. It’s not uncommon for someone with an anxiety disorder to also suffer from depression or vice versa. Nearly one-half of those diagnosed with depression are also diagnosed with an anxiety disorder, with symptoms that can vary from mild to severe. Depression is characterised by various warning signs, such as changes in appetite, a sense of futility and loss of interest in activities or interests. Anxiety, on the other hand, often involves panic attacks and constantly feeling “on edge”. These illnesses can lead to a variety of emotional and physical problems and can decrease a person’s ability to function at work and at home. In severe cases, people are entirely compromised in their ability to live normally. For instance, people suffering from depression can find it difficult to even get out of bed and brush their teeth, while people beset by panic attacks may become extremely avoidant in an effort to control their anxiety. How yoga can benefit people with depression and anxiety. For people experiencing depression or anxiety, the situation can feel hopeless – but there are effective treatments out there, and we are learning more about how to overcome these illnesses all the time. For people with severe and persistent symptoms, long-term pharmaceutical intervention can be a genuine life-saver, while milder symptoms may be treated with shorter courses of medication or self-help strategies. Therapy is also a key part of recovery for many people presenting with anxiety or depression. Despite our medical progress, however, our response to these issues is still imperfect. For example, the side-effects of certain medications can be a disappointing trade-off for sufferers, who understand that they improve their mood and anxiety but may struggle with issues such as libido loss. It is also a issue that many people can find it difficult to access therapy with any urgency. Perhaps most pressingly, we are very reactive in our approach to mental health issues, treating people based on their current experience of the illness rather than placing systems in place to help people avoid developing serious symptoms in the first place. There is a growing body of research in the use of yoga as a way to soothe and manage both depression and anxiety. Used alongside traditional treatment, it appears that yoga could be a valuable and sustainable option for people looking for additional ways to manage their depression or anxiety, develop their resilience and become more self-sufficient. The research is compelling enough for it to have become generally accepted by many health professionals that yoga can help us with stress, anxiety and depression. This is an extremely promising development. It’s been anecdotally well-known in the yoga community that pre-existing problems with mental health issues become much easier to manage with regular practice – in fact, it’s sometimes these issues which draw people to yoga in the first place. But now several large-scale randomised trials are adding scientific credence to the personal experiences of yoga practitioners, moving the idea that yoga can improve anxiety and depression further away from personal conviction to medical fact. With scientific backing, we can begin to integrate yoga into formal healthcare and empower patients to take more control over their own health in an inexpensive, self-directed way. 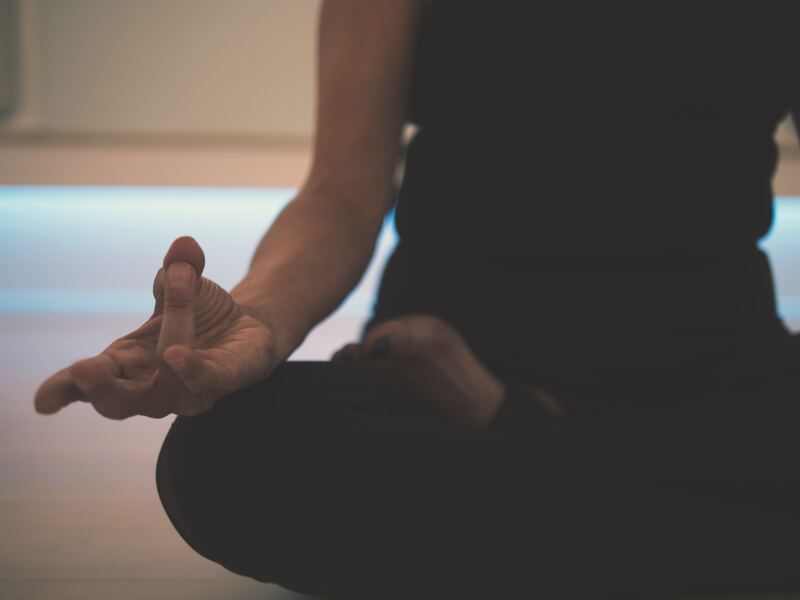 By acting as an adjunct treatment in mental health, yoga can be used to benefit mental health patients holistically, joining traditional medicine to improve their lives and perhaps even contribute to a permanent recovery. Heather Mason is the founder of The Minded Institute, a world leader in the development and implementation of yoga therapy and mindfulness programs. Motivated by her own experiences of anxiety and depression, she moved to South-East Asia in order to pursue an intensive meditation practice in Buddhist monasteries, where she spent 3 years and trained as a yoga teacher. She has completed an MA in Buddhist Studies at SOAS University London followed by an MA in Buddhist-Based psychotherapy. During this time, she became interested in mind-body therapies, and took a sabbatical to study yoga therapy, neuroscience and complete an MSc in Medical Physiology, allowing her to take a systemic view of yoga’s efficacy in health.